This looks like it could have come straight from The LEGO Ninjago Movie. 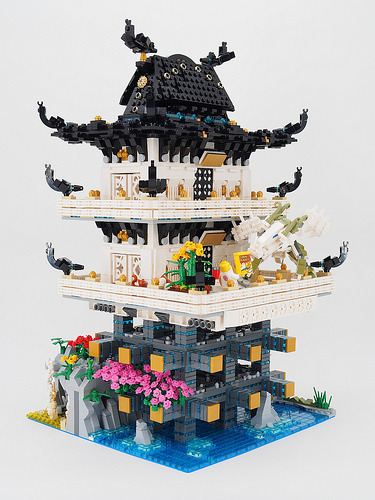 Titled “Master Wu’s Secret Hideout,” this temple-like structure by Lysander Chau is comprised of a nice mix of future Zen-type designs on the bottom third of the build and the remaining two floors are very classical Ninjago-ish themes. What makes it stand out a little more is its use of gold adornments — just enough to make it feel grand but at the same time homely. I’m beginning to wonder if Master Wu has a second job in order to afford such a luxurious abode.